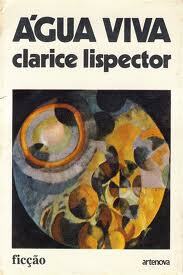 The journey one takes toward Clarice Lispector has a great deal to do with the way she is read. I came to her through Helene Cixous, and therefore she (CL) has become inseparable from me, as I experiment with my reading of her, paying almost as much attention to my internal carry-on-chorus that wobbles along side my conscious movement from word to word in the linear structure. Clarice Lispector exists for me outside the text, using the context defined “inner world” to stretch out and beyond into the borderless “outer world”. It is her ability to create this (anti)structure that separates her work from “stream of consciousness” or circular topic based narratives. I read a lot of experimental fiction that tires to appear deliberate when marrying avant-garde techniques such as experiments with grammar, reflexive thinking/acting and searching for the space between the words, but hers is the only writing I feel convinced by. Convinced that there is an important problem being solved in her texts – or rather that something is being seen or said that we were blind to before hand. In this way I am like a child in her hands, unknowing and naively following, relying on an opaque trust I feel in my belly that I can’t (yet) speak with my words. She is the kind of writer I would learn Portuguese for, but according to biographer Benjamin Moser, this would do me little good beyond vanity. 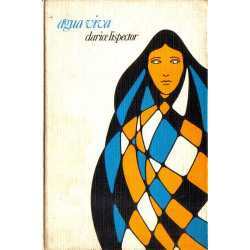 As Moser claims in the introduction to Água Viva, “Paradoxically, the better one’s Portuguese, the more difficult it is to read Clarice Lispector. The foreigner with a basic knowledge of romance grammar and vocabulary can read her work with ease. The Brazilian, however, finds her work difficult. 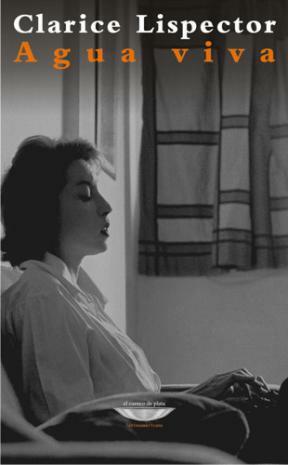 This is because her subtle rearrangements of everyday language are so surprising that they often baffle the reader, particularly the reader with little experience of her work.” I would virtually have to know classical Portuguese perfectly so that I could experience the confront and then unlearn at the feet of Clarice Lispector. 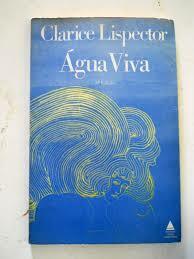 It is this quality in Clarice Lispector that makes Helene Cixous call her writings a ‘living text’. Cixous encourages what she calls ‘active reading’ and insists that Lispector cannot be read in the ‘old ways’ that we read. Likewise analysis. The text can be assimilated into my expereince of what it is to be human or it can be dominated, colonized where rationalization is sometimes an aggressive act of stripping (rather than removal) that renders the text impotent and valueless. The ability to withstand that sort of onslaught it built into the text itself. Below I have included the original text (as best i could imitate it) and with it a translation from Elena Carrera as appears in her paper The Reception of Clarice Lispector via Hélène Cixous: Reading from the Whale’s Belly. Today I finished the canvas I had told you about: round lines penetrate each other in fine black lines, and you, who have the habit of wanting to know why – and because I am not interested, since it is a matter of the past – you will ask why black and fine lines? It is because of the very secret which makes me write now as if it were to you, my writing is round, rolled up and tepid, but at times frigid like fresh instants, water in a brook, fearing for itself. Can what I painted on this canvas be put into words? In so far as the mute word is implicit in musical sound. It is in the meticulous crafting of each sentence that implies the new because of the existence of the deliberate, and this is part of the key to her context. 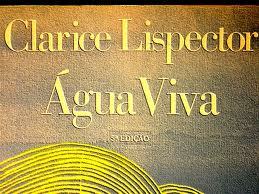 Lispector is already a celebrated writer by the time she wrote Água Viva painstakingly worked toward a new and different writing. This is partially how we know something has happened rather than us imposing meaning. Lispector leaves nothing up to the reader. In fact, she writes of a kind of truth in spite of the reader. In the following passage we can see that the words exist in a relationship with the always already other (reader) as if they were not actually reading. I do now know prohibition. And my own strength frees me, that full life that overflows me. And I plan nothing in my intuitive work of living: I work with the indirect, the informal and the unforeseen. There is no plea in Água Viva, no appeal and no guide. Where Sartre stated that all writing is an appeal to the readers freedom (What is Literature) this claim is based on the rights of the reader to pick up or put down the book as well as the collaborative nature of reading itself. 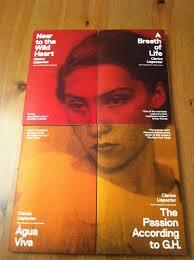 Lispector by-passes this collaboration, by immersion in the body of the reader as it were. The inessentiality of the reader becomes obvious the closer one gets to the text. In a strange sort of way, by writing toward the shared experience, Lispector eliminates reading, by using words to initiate “being”. The book becomes a kind of experience rather than a text framed by the context called “book”. There is no possibility of colonization or appropriation because all that exists is my moment as I become aware of myself holding the book and reading the book. For me, reading was always a collaborative act. 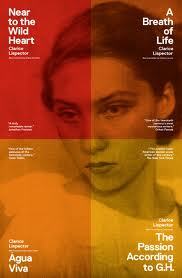 Lispector helps me see that it is also a form of appropriation in the same way we occupy music. I steal literature and absorb it into my collected definitions of self-hood. Literature is meant to feed me in some way. Lispector refuses this and moves to a different writing that works to make writing bigger than reading. When I am small enough I don’t impose. In many ways she removes both of us, so that all that exists is the words made large.